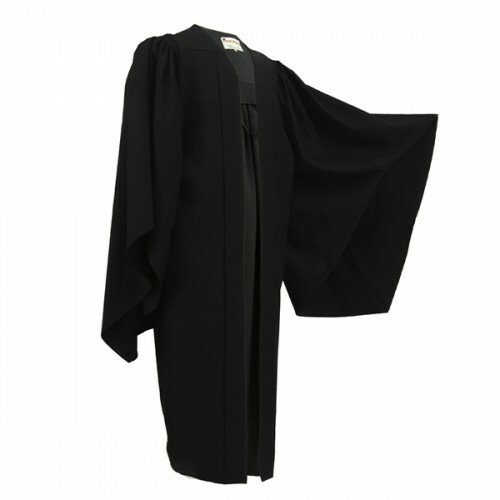 Our UK Style Classic Black Bachelor Degree Gown is a high quality garment with hand pleated rucking and a stiffened yoke. 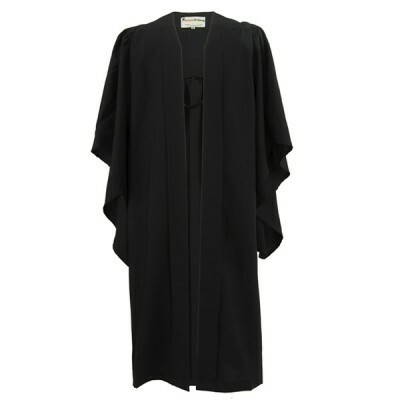 It is made from polyester or similar manmade materials. 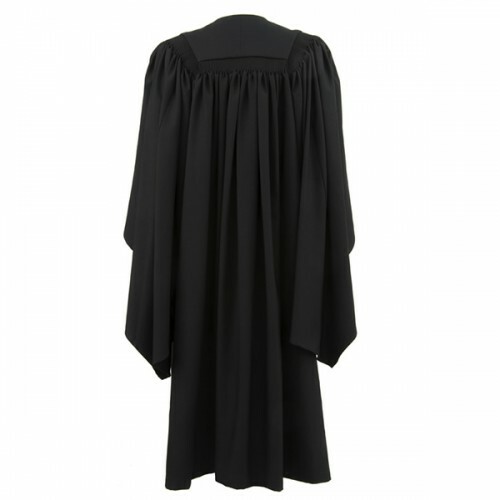 This offers pest and crease resistance superior to most natural materials such as wool or cotton. 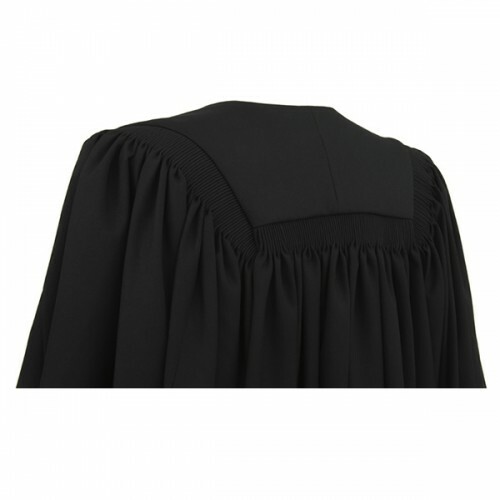 Please note that the coloured hood is shown for illustration purposes, and is not included with the gown- please call us if you require a academic hood.